AWE is one of the industry’s most dynamic and awarded distributors representing a portfolio of leading residential technology brands. We are growing and looking for the right people to join our team. 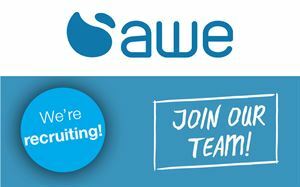 If you have knowledge of consumer electronics and a spark for great customer service, apply to join the AWE team! This role is mainly telephone based but is far more than a simple order taking job! Working as part of our internal sales team, the successful candidate must be able to give detailed advice from their product knowledge, build relationships with our trade customer base, and help develop business in a structured manner. The successful candidate will report to the Internal Sales Manager and need to develop and maintain a good knowledge of product features. Ongoing product training will be provided, but a natural aptitude for consumer electronics and great customer service is essential.